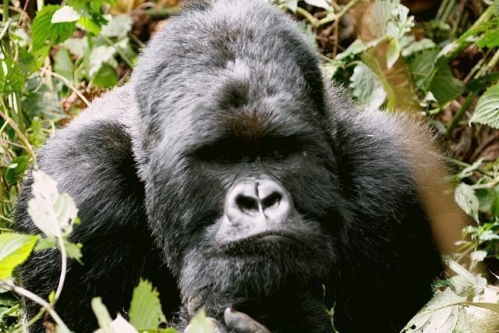 Behind the lens: I went on three gorilla treks in Rwanda in November. The number of tourists visiting each gorilla group is limited to eight people plus the park guides who carefully directed our behavior during the one-hour encounter. All three groups were unique and had juveniles that played and entertained us. I have visited six countries in Africa and found Rwanda to be very clean, safe and the people welcoming and friendly. They have overcome the horrific past of the genocide and are working to rebuild their country and save their natural resources. American tourists make up the vast majority of visitors to the Volcano National Park where the mountain gorillas live. Rwandan Adventures - African adventures by bicycle and by foot!